It’s never too soon after a loss to begin this work. And it’s never too late—even if you feel like you “should be over it” by now. Losing something – or someone — you care about can be hard. You feel awful. You have no energy. Maybe you’ve even lost your love for life. But you can also choose to experience this as a gift for your own personal and spiritual growth. In these programs, you’ll work with Gina to uncover, explore and ultimately complete your relationship with the place, experience, or loved one you’ve lost. 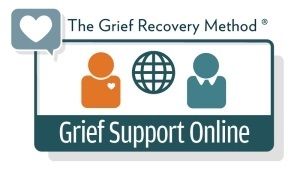 You’ll increase your understanding of what grief really is, what purpose it serves in your life, and how to accept and “do” grieving as part of being alive. It’s never too soon after a loss to begin this work. And it’s never too late – even if you feel like you “should be over it” by now. You’ll get tools, a chance to say what you didn’t get to say, and space to resolve your emotions and complete the relationship with Gina’s strong, supportive guidance. 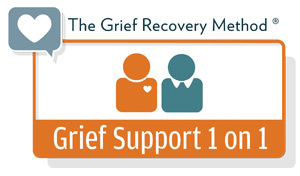 Where there is Grief there is usually fall out, and many areas of life can be impacted. We can find ourselves stuck in a whirl wind of uncertainty, in our careers, relationships and overall purpose in life. There is a way out of uncertainty with self awareness and guidance we can find our way back to a life that we find fulfilling, meaningful and rewarding. Gina can support you in a journey of self discovery, learning, and personal growth. We are not meant to travel this road alone. We all need support at times. Let Gina be your guide, support and trusted companion through the storms of life. Take responsibility for the future direction of your life and reach out today. I’m so grateful for the learning and release from the intensity of my grief symptoms, that have resulted from my work with Gina and ‘The Grief Recovery Handbook’. It has been 4 months since the death of my husband of 30 years. I feel so much more grounded and at peace with myself. I am much more equipped to manage losses in the future. Gina is a most empathetic listener while, at the same time, guiding with direct and extremely useful information to support my healing journey. Between my job as a Nurse and my own personal life, I’ve cared for and lost a lot of people over the years and some have had a tremendous impact on me personally, mentally, physically and emotionally. I have carried a lot more grief within me through the years which added an extra burden and so when my current employer mentioned that they were encouraging people to attend an 8 week Grief Recovery Program, I immediately signed up. To say that the sessions changed me would be an understatement. Through meeting with Gina and the Group I was able to look back over my life and deal with some of the monumental deaths and losses that I’ve suffered over the years and not only work though them, but also grieve and be able to move on and unleash myself from the weight that I had been carrying inside of me for the past 20 years. I am thankful and fortunate to have been a part of one of Gina’s Grief Groups and I would strongly recommend that anybody who has suffered a traumatic loss or a negative life altering event to contact Gina and see if she can help you work through the pain, hurt and grief and to move beyond it in order to live a full life again. I had been dealing with unresolved grief related to the death of a parent when I was a teenager, for close to 20 years now and I finally feel closure and have been able to move on and live my life without grief weighing me down. If you feel that you have something that you need to grieve or that you haven’t been able to work through then I highly recommend getting in touch with Gina and having her help you get your life back. I knew I needed help and support to get my life back on track after my brother died at the age of 48. I have had a lot of deaths in my life and found out that over the years the pain grew from the grief that had accumulated with in me. My brother’s death was the breaking point. This time my heart actually hurt and I had no energy or interest in life anymore. I could not even force myself to do something that I knew needed to be dealt with. I felt flat and just went through my day to day activities. Even though I have a supportive family and circle of friends, that was not enough to get me back on track. There is not a lot of help out there to deal with death. I called Gina and she was a very caring, sincere person and easy to talk to and share with. She guided me through the course and helped me deal with my feelings that had built up over the years. I could feel a big weight was lifted off of my shoulders and slowly felt like myself again. 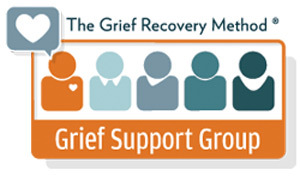 She helped me understand the The Grief Recovery program does not only deal with death but helps you move beyond any loss in your life that you may encounter. She also helped me understand all of the misconceptions surrounding a loss that we have grown up with and believed since childhood. I also liked that the program was not religious based but more spiritual and she made me feel comfortable throughout the course and what I was feeling was normal.